It’s hard to say what the common denominator is that motivates an actor to rise out of bed each morning with the primary objective of pretending to be someone else. 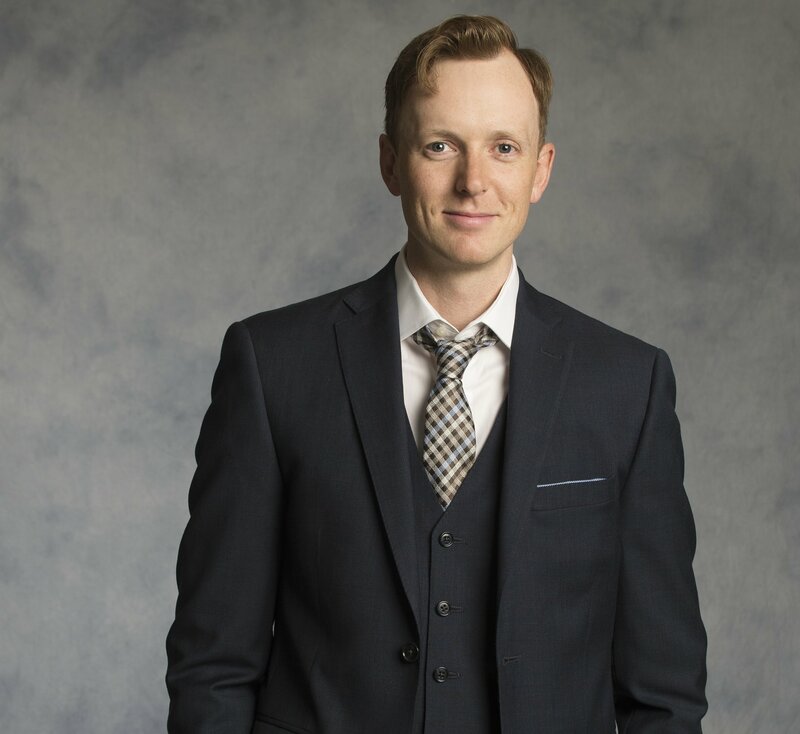 Kyle Blair, who stars as the good hearted Oscar Lindquist in the Shaw Festival’s fiery presentation of Sweet Charity on stage until October 31, 2015, is loving the challenges that come with searching for who we are at our most authentic. Not only has the skillful artist shared the stage with legendary performers throughout his career, he’s well on his way to earning the same accomplished ranking due to an acute self-awareness when it comes to breathing life into a character for an audience. Acting is hard and elusive. Sometimes I can feel very precious and neurotic about it, and at other times very pragmatic. As much as I have studied, learned, and practiced, I still feel like an absolute beginner every time I start a new process. There is no magic formula to make good work. This is both devastating and wonderful. Each beginning is new, and I am learning to accept not knowing as part of the process. I suppose anyone with an imagination could learn to be an actor. But if you are not inspired to do so, it would be a colossal waste of time. In my opinion, bravery, curiosity and creativity are helpful traits to possess. Who is more important to the production, the actor or director? Well that’s a politically loaded question! I think when it comes down to it, what is absolutely necessary is a story teller and an audience. So my answer is that the actor is most important. However, I think the work of a director is critical. That’s because a director can open actors to places and ideas that they would not achieve alone. My favourite directors are the ones who have helped to free me to be my most available and creative self. They’re responsible for the whole, and having that outside eye is invaluable. I can’t imagine the weight of that kind of responsibility, and I have a deep respect for their craft. It is very rare that I turn down an audition because I feel I can’t connect to the role. In fact, I think I’ve only ever done that once. Work is scarce, and unless you are a movie star, I think most actors would agree that they are happy for any opportunity to practice their craft. Sometimes the roles you are afraid of turn out to be exactly what you should be doing. I have no set criteria, but I have learned that I love variety. It’s fun to dive into a new playwright or genre and see where they/it takes you. I did a production of Wizard of Oz once where they didn’t fly Glinda out high enough one night, and her feet started taking out all of the munchkins. I can’t say that we did a good job of covering our laughter. Which stage actor ranks high on your list of all-time favourites. One of my favourites was Peter Donaldson. In my first year at Stratford, I saw him play in Who’s Afraid of Virginia Woolf opposite Martha Henry. I was amazed by him because I could not see the work. He was so present and it felt like he was really having an authentic experience in the play. I was fortunate to work with him a few times. I was terrified of him at first, but one day I got up the courage to knock on his dressing room door to ask for some help with something I was struggling with in the play. He could not have been more generous, and some of his advice has become a touchstone for me as I move through my career. There are a lot of forces at play that none of us has control over. I am not a planner, I have no specific five or ten year vision. My desire is to keep living in a way that stimulates me, helps me grow as an individual, and allows me to deepen the relationships I have in my life. At this moment, a life in the theatre feels like the right place for me, and I’m overwhelmingly grateful for the experiences I’ve had.